The title of today’s post may be misleading… we’ll actually be discussing some of the many great movies filmed in Las Vegas. So, if you readers want a taste of what Mrs. Sip and I enjoyed last weekend, why not try one of these movies (or today’s cocktail!). Note: While some films can feature a quick jaunt to Vegas, I’ve chosen to concentrate on the ones that are largely based in Sin City. The surprise hit (although anyone could have told you this movie was going to be gold, just by the premise) highlighted everything a trip to Vegas has to offer: wild nights out, poor marital choices, getting knocked the eff out by Mike Tyson… you know, all the usual stuff. 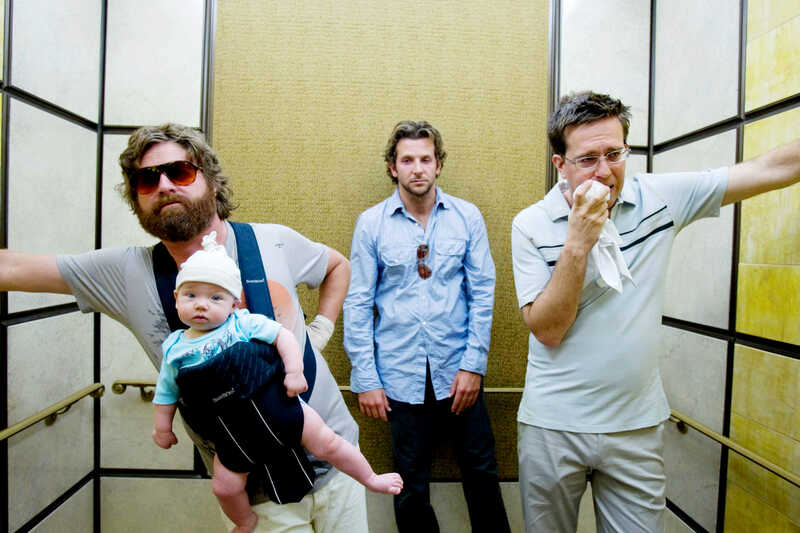 I’m willing to bet that people go to Vegas now and try to recreate the experience of Alan, Stu, Phil and Doug (poor guy never gets to be part of the fun, though). While I’m all for tripping the light fantastic on the strip, I hope anybody who tries to recreate the debauchery gets eaten by the MGM lions. I’m quite fond of both versions of this movie. The first features the Rat Pack (Frankie, Dean-O, Sammy, and the rest of the crew), while the remake sees George Clooney, Brad Pitt, Matt Damon and too many others to list light up the screen for a fun romp of a heist movie. The ending in each movie is different, which makes watching both totally worth it, and because of the gap between film releases (none of this 10 years later reboot crap), technology had changed so much that the movies have vastly different schemes. Nicholas Cage won an Oscar for his portrayal of Ben, a longtime alcoholic looking to end his life in one last epic binge. Along the way, he meets prostitute Sera and they form a relationship of sorts, as Ben drinks himself to death and Sera tries to make her life better. You gotta admire Ben’s drive and passion for the bottle. He shows all us boozehounds how to go out honourably. Clark Griswold and family are back at it, this time tackling Sin City. One of the highlights of the movie is underage Rusty, who ends up becoming a high roller thanks to a hilarious fake I.D. 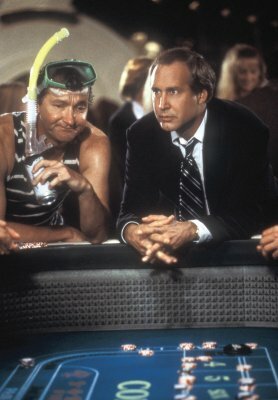 His lucky streak, as Nick Papagiorgio, saves the family from ruin, as only Chevy Chase can cause. Cousin Eddie is also back in this romp and I wish the casino he takes Clark to actually existed. Rock, Paper, Scissors… Pick-A-Number… I might actually have a chance at these games! Let’s be honest… this cinematic gem is pretty awful, but you knew fans would flock to any movie that featured a Saved by the Bell actress in the buff. I personally would have preferred it to star Tiffany Amber Thiessen, but whatevs. Sometimes you just have to make peace with the breasts you are given. I used our coloured ice-cubes for a bit of extra something (since it is supposed to be a Vegas themed drink after all). This drink looks awfully familiar to a Long Island Iced Tea, just minus the cola and with lemonade and lemon-lime soda in its place. I personally love this family of drinks because they are so highly booze-fueled. The Beverly Hills Iced Tea will also be featured on this site in the future! 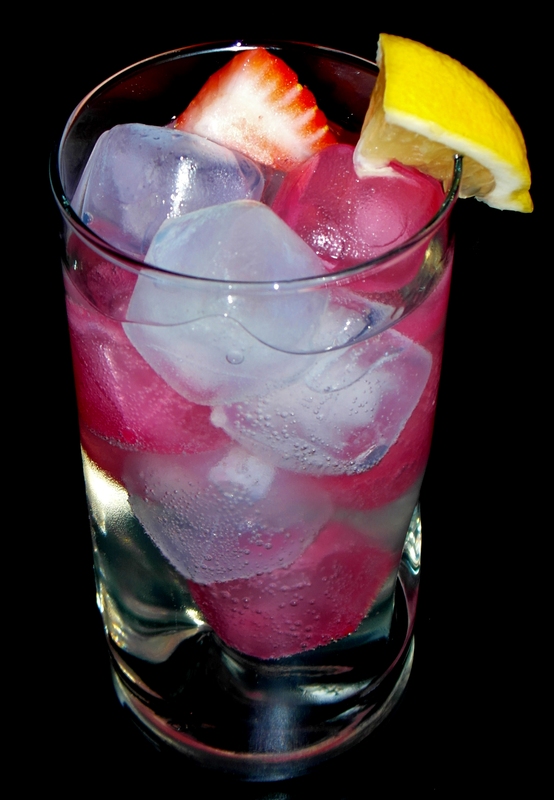 I love using the pink and white ice cubes. I think they add another layer to a clear cocktail like this. This is basically similar to a Long Island Iced Tea with a few altered ingredients. I love LIIT’s, so this one went down just as easy as all the others! This entry was posted in Crazy & Classic Cocktails and tagged gin, Leaving Las Vegas, lemon twist, lemon-lime soda, Lemonade, National Lampoons Vegas Vacation, Ocean’s 11, rum, Showgirls, sugar, The Hangover, triple sec, vodka by Daniel Wilson. Bookmark the permalink.